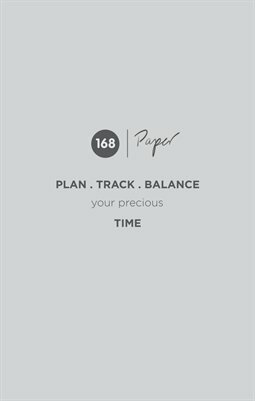 168 paper uses the core ideas of the 168 app in a new/old medium, paper. The daily plan pages let you list all the things you have done, or plan to do for each day. Understand not just what you did, but why. Identify the focus of each item on your list by using 168’s unique categories. Creative: Moving towards long-term goals. The balance page helps you step back from the day-to-day and analyze how you have been focusing your week, supporting a mindful approach to your most precious asset, your time. Try out 168 paper today. 168 hours in a week, balance your most precious asset, time.